Despite feeling self-conscious, many patients avoid straightening their smile because they do not want to wear traditional braces. At the Cosmetic Dentistry Institute, we provide Invisalign®, a nearly invisible orthodontic treatment that allows for faster, more comfortable smile alignment. The clear plastic trays used for Invisalign are virtually invisible to others, allowing you to feel less self-conscious throughout treatment. Invisalign trays are modeled to fit your bite and are made from smooth, BPA-free plastic that is less abrasive to your gums and lips. You can remove your Invisalign trays while eating and brushing your teeth for an unrestricted diet and improved hygiene. 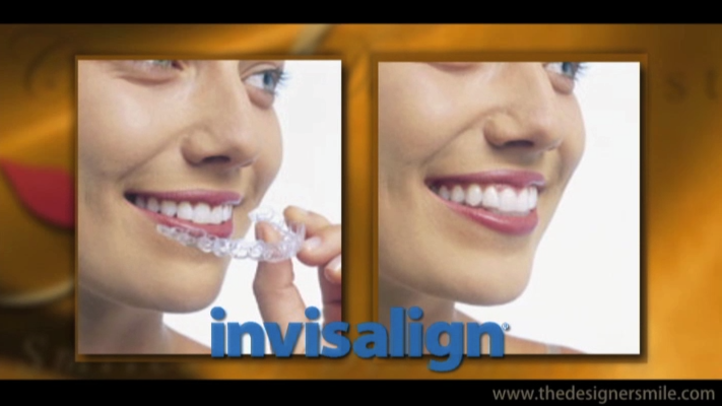 How does the Invisalign process differ from traditional braces? Is Invisalign an effective orthodontic treatment? It can most likely help you, too. As a busy adult, you don’t have time for the hassle and pain of traditional metal braces. While the end result of a straighter smile is certainly a confidence boost, the look of metal braces in the meantime can make most adults hesitate to seek treatment. Fortunately, there are other options. Dr. Craig Goldin at the Cosmetic Dentistry Institute is proud to offer Invisalign® clear braces for Troy and Birmingham-area patients looking for an alternative to metal braces. Dr. Craig is an experienced Invisalign® provider who has actually performed cases at the request of Align Technology Inc., the manufacturer of Invisalign®. We work with patients from Bloomfield, Rochester Hills, Royal Oak and the greater Detroit metro area. Please contact us today to learn more. From our office in Troy, Dr. Craig Goldin provides Invisalign® invisible braces to patients who live all around the Detroit metro area. Invisalign® is an incredible solution to straighten patients’ teeth without the hassle and unattractiveness of traditional metal braces. Invisalign® is a treatment that works much like traditional metal braces, but uses a series of clear BPA-free plastic custom-molded aligner trays to make adjustments to the teeth over time. Instead of having metal or porcelain brackets cemented to your teeth, and having to return to the dentist each month to have wires tightened, Invisalign® allows patients to simply switch out aligner trays every two weeks until their desired results are achieved. Many patients wonder how long the Invisalign® process takes. There is no uniform answer – it primarily depends on the position of a patient’s teeth at the start of treatment. Unlike traditional braces, Invisalign® does not require frequent tightening, making the process a perfect fit for your busy life. For most adult Invisalign® users, the entire process from initial consultation to completion takes approximately one year. For patients who only need minor adjustments, the projected timeline may be considerably less. However, not everyone is a candidate for clear braces. During a consultation, Dr. Goldin can assess whether you are a good candidate for Invisalign®, or if a different cosmetic dentistry procedure might be a more effective choice. To schedule your consultation, contact us online or call us at (248) 519-1919.